At the end of a narrow road in the Peloponnesian countryside southeast of Nafplio, traveled largely by beachgoers and campers in the know, lies one of the most picturesque coves and intriguing archaeological sites in Greece, the seaside fortress of Asine. The ancient site covers two hills overlooking a natural inlet: the steep-sided, rocky acropolis of Asine proper (also called Kastraki) and a more gently sloping rise to the northwest, named Barbouna Hill. The blue Argolic Gulf dotted with islands spreads out below Asine’s heights, while to the west the busy town of Tolo occupies the adjacent coastal landscape. On the opposite, eastern side of Kastraki, a long, sandy beach backed by thick trees stretches into the distance. Ancient Asine’s naturally defensible citadel long held strategic importance for prehistoric and later peoples, since it afforded both ready security and a well-positioned port. Homer’s “Iliad” (late 9th-8th century BC) records Asine among several Argolic cities that sent a combined naval force of 80 ships to the Trojan War some three to four centuries earlier. Asine’s involvement in Late Bronze Age seafaring is also attested to by a painted image of a ship -- equipped with oars and a sail -- on a Mycenaean vase unearthed at the site by archaeologists. Investigation of Ancient Asine began in 1922, two years after Swedish Crown Prince Gustaf Adolf, an archaeology enthusiast, visited Greece and decided to launch state-sponsored excavations. The initial study of Asine, Sweden’s first large-scale archaeological excavation in Greece, lasted until 1930 and subsequently appears to have inspired Greek poet George Seferis when he wrote his perhaps most critically acclaimed poem, “The King of Asine” (see below). Further excavation was not undertaken until the 1970s, when the Swedish Institute in Athens and the Fourth Ephorate of Prehistoric and Classical Antiquities began again to probe the acropolis and surrounding areas. Earlier investigations had focused on Kastraki, its northern slopes (the “Lower Town”) and Barbouna Hill. Between 1970 and 1990, Greek and Swedish archaeologists explored the level area east of Kastraki (the “East Cemetery,” 1970-1974), the southern (1971-1989) and northern (1985) slopes of Barbouna Hill and an area northwest of the acropolis near a massive, well-preserved Hellenistic bastion (1990). 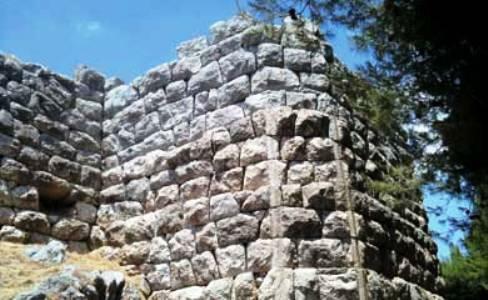 All of Asine’s ancient fortifications date to the Hellenistic period (circa 300 BC) but human occupation at the site had already begun thousands of years earlier in the Neolithic era (circa 6500-3200 BC). So advantageous was Asine’s natural setting as a site for settlement that archaeologists recently reviewing their data have determined no periods of abandonment can be detected during its lengthy history -- only occasional periods of decline. 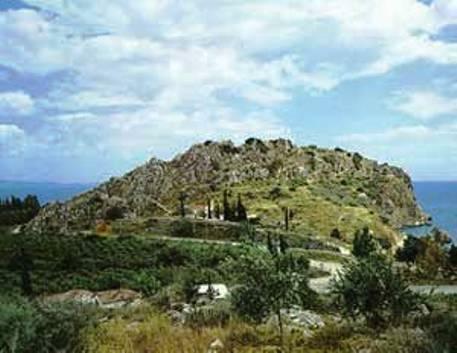 Asine flourished especially during the Early, Middle and Late Bronze Ages, survived the collapse of the Mycenaean world circa 1200 BC but became severely depopulated circa 700 BC when its more powerful regional neighbor Argos destroyed the town and exiled its inhabitants as retribution for Asine providing wartime assistance to Sparta, an Argive enemy. Asine’s ousted residents resettled in the southwestern Peloponnese in the place known today as Koroni. The original Asine settlement continued to be occupied to some degree, however, and in Hellenistic times was fortified by the Macedonians. Later, the Romans, Byzantines and Venetians all left their mark on the site. The infamous General Francesco Morosini, prior to besieging Athens and bombarding the Parthenon, anchored his naval fleet near Asine in 1686. Italians were again at Asine during World War II when they dug trenches and constructed lookout and gun positions on the Kastraki promontory. The Asine acropolis formed the center of the site from earliest times. Archaeologists have unearthed Bronze Age artifacts, houses and graves on Kastraki and within the northern Lower Town. Cemeteries dating to Middle and Late Helladic (Middle, Late Bronze Age) have also been located on Kastraki’s eastern side -- where a shady campground now exists -- and on the eastern and northern slopes of Barbouna Hill. Among the discoveries on this secondary hill were Mycenaean chamber tombs and traces of Protogeometric-Geometric inhabitation and burial. These early centuries of the Iron Age were a particularly prosperous time at Asine, when the harbor town was in contact with far-flung areas including Athens, the Cycladic Islands and the southern Peloponnese. Asine’s friendship with Sparta proved disastrous, leading to the town’s destruction at the end of the 8th century BC. Asine’s renewed prosperity and strategic importance in the Hellenistic era is indicated by the remains of houses, cisterns, olive presses and its imposing fortifications. The finely crafted walls, gateway, a section of paved road and the sturdy eastern bastion are especially impressive. In Late Roman-Early Christian times a bath complex and a small chapel dedicated to the Virgin Mary were erected on the acropolis’s lower, northwestern slopes. Today, the unfenced site of Asine lies largely forgotten. A ticket booth with an attendant welcomes visitors but no tickets are sold. A bittersweet experience lies in store, then, as one marvels at the ancient ruins, enjoys the site’s free access, soaks in its magnificent views but also cringes at its crumbling staircases and other distinctive architectural features. Archaeological fieldwork may have ceased at Asine but its remains (some of which are displayed in the Nauplio Museum) are still a subject of lively interest for both specialists and laymen. Greater attention paid to Asine’s upkeep and protection would help to preserve a unique part of the Peloponnesian past. On the sunny side a long empty beach and the light striking diamonds on the huge walls.